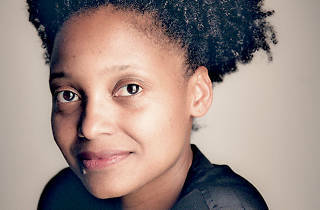 Though best known as a poet (and a damn good one), Tracy K. Smith never felt that her chosen medium fully allowed her to reflect on her family life, her upbringing and the loss of her mother just after she finished college. 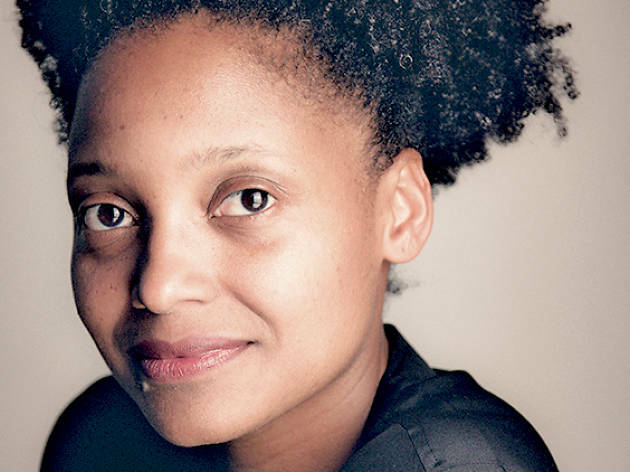 So she turned to the memoir, the genre best suited for thought-provoking nonfiction. In Ordinary Light, another one of the most-anticipated books of 2015, Smith unsurprisingly reveals tremendous grace and eloquence through her honest, unyielding consideration of the past. Be sure to catch her in the coming weeks as she launches the new work at New York’s best bookstores. Why write a memoir now? For years following the death of my mother, I wanted to write about her. I started writing what I thought of as personal essays about growing up as her child, but I never could finish any of them. I think I was too close to that loss, and too eager to try and resolve things, to make her death make sense. It took me many years before I could confront that material with the willingness to let it be what it was. I also lacked someone holding me accountable for those essays; it was a secret file on my computer that only I knew about. Basically, I needed to grow up a little bit, to live longer with that loss and to discover what I really needed to ask of it. Of course, we, readers, know you almost exclusively as a poet. What made you decide to write out your experience in prose, instead of verse? I wanted to push myself to arrive at different kinds of answers. I had written here and there about my mother in my poems. There are poems for her in my first and second books. And yet, I also instinctively knew that it was easier for me to approach her in that form—a form where silence and white space exert a tremendous kind of energy, allowing the poet to gesture toward something without always having to say it. That is valuable, but I also felt the need to be braver than that in telling this particular story, to ask questions that demanded I go in pursuit of actual answers—answers that would illuminate some of the poignant silences running through my life: silences about race, about religion, about certain kinds of guilt. Prose helped me to name and explore those things on the page in explicit terms. There’s a narrative of race that extends beyond your own story, and we see how prejudice and progress both affected your parents, their parents. You have children now—how do you think their lives in these terms are different from what you experienced? As biracial kids, they are growing up with more lineages to consider and perhaps try to synthesize. But I think much of our thinking about race, as a society, isn’t too different from what it was 30 years ago. I think my kids will likely have to navigate some of the same apprehensions and assumptions about difference that I did, though perhaps the consideration of these things will feel like less of a secret, less of an interior monologue and more of an actual conversation, owing to the fact that more and more whites feel like they are “welcome” to talk about race, to acknowledge it and to consider how it plays into their ideas, values and relationships with people of all backgrounds. I was very impressed by how detail-filled your memories, going back nearly 40 years, are. Do you keep journals? What process did you use to conjure so much of your youth? I have kept journals at different times in my life. And a lot of my early notebooks became places where I would just think on the page, trying to parse what I was feeling, to find out what I was thinking. I still do that sometimes, on my laptop, but I don’t think of myself as a journal keeper, per se. What I did discover is that memory repays your interest and patience with bits and pieces of details that you had no idea you recalled. It’s a bit like sitting in a dark room and waiting for your eyes to adjust. The longer I sat thinking about a specific moment in time, and the sounds and smells and tastes that went with it, the more that time came back to me. Sometimes I’d write with a song from the 1970s playing on repeat, so that I’d get to that time and space more easily. I bought my mother’s perfume, Joy, at one point, to see if that might jostle more details loose from the cage of my mind, and it did. In the book, you speak of poetry as a kind of divination, learning from your own words things you hadn’t known. What did you learn from the memoir? If you’ll believe it, I didn’t really think race was going to be a part of this story. I didn’t realize how much I wanted to say and unravel where the topic was concerned. It took a draft or two before I could acknowledge that it needed to be discussed and that I was willing and actually eager to do the work of examining my own experiences where race was concerned. The same was true where religion was concerned. After a certain point, I realized that I wanted to profess something, to find a way of naming what I believed, and what I have done with the faith I was given as a child. That was scary, as an artist and an intellectual, to be talking about my personal relationship with God. But I tend to regard fear, where my writing is concerned, as an indication that I ought to pursue whatever has me feeling frightened or nervous. There’s a moment well into the narrative when your aunt is driving you through Harlem and you’re drawn to, as you put it, “all these beautiful black people,” even the homeless. Your aunt responds, “Your parents did everything they could to make sure you wouldn’t have to suffer. Why would you want to go backward?” You write that you weren’t able to answer it, “not yet.” Can you now? I think that I was conscious even then of having been spared not just a certain kind of discomfort or struggle, but also a wholeness of experience. I didn’t yet know that each of us finds and concocts myriad ways of struggling in our lives, and that some hardships reach us even without our help. What I think I wanted, then, was a public and communal way of reveling in what I saw as "blackness." I had that in my family, but it hadn’t yet become something I could partake of beyond that framework, partly because I was afraid of the flip side of such joy, which would have required me to really listen and speak back to the ongoing history of struggle and resilience that is integral to our particular inheritance as blacks. Were you ever concerned about writing a story with so many intimate, familial details? My siblings were and are so very supportive of my wish to write this book. Even when my story veered away from their stories and views of growing up in our family, they were supportive. They’ve read the book and recognize us as a family in it, even where sometimes they might have been drawn to say, “Wow, my childhood was so different from yours.” But it’s hard. I am keenly aware that in writing about my mother, I am writing about my aunts’ sister, and that in writing about my grandmother, I’m writing about their mother. I know that my honesty about how my view of these people has changed over the years may be painful. I regret that, but perhaps it is also another reminder of how unique our individual lives are. I hope the book might also stand as a kind of public statement of my own love and admiration for all of the people who made me. And what are you working on now? Will we be seeing any more prose? I’m back to verse for the time being, working on co-translating the work of Chinese poet Yi Lei into English. I’m also collaborating with Judd Greenstein and Joshua Frankel on an opera about Robert Moses and Jane Jacobs. We are workshopping scenes from that project at 3LD in New York the second week of May. But more prose is on the horizon. I’m kind of hooked.